Virtual staging services edit room images to add or subtract furniture and décor to make a home more inviting to buyers. Of the 11 virtual staging services we reviewed, six were chosen as the best by price, decorating abilities, and delivery to help buyers visualize living in a property by virtually decorating a space. Virtual staging services require images or renderings to be sent to staging designers who then edit those images/renderings either with input from realtors or, in most cases, according to their own design aesthetic. These images are then sent back to the realtor who uses them for various promotional materials. Some virtual services employ interior designers to add furniture and accessories to an image with good decorating practices. Virtual staging software allows realtors to design their own room by picking furniture and decor items from an online library. In rarer cases, 360-degree or 3D renderings can be created using blueprints or images provided by real estate agents. These often require more time, depending on the extent of the project and the detail involved in the editing. When successfully utilized, staging services allow real estate agents to present a home in its most attractive form, encouraging potential clients to consider, tour, and ultimately buy properties that are being promoted. VRX Staging (Best Overall) - Realtors seeking a one-stop shop for virtual staging at a reasonable price. BoxBrownie Real estate agents wanting virtual staging using 360° images. Virtual Staging Solutions Agents needing to create virtual staging photos from a floor plan or rendering. PadStyler Realtors seeking more detailed virtual staging renovations like tile or cabinet replacement. Virtual Staging Lab Agents desiring large space virtual staging for high-end properties by interior designers. VisualStager Realtors wanting a click-and-drag DIY option for quick virtual staging. Virtual staging software helps the agent create a positive impression by presenting a visualization of the property with someone living in it. Because properties are typically empty, filled with unappealing decorations, or need renovation, agents need an affordable and robust image editing service to stage properties attractively. Price – Virtual staging is typically priced by edited image. While the price of virtual staging is significantly less than actually renting furniture for live staging, the cost per house can stack up if there are several shots of each room. The services on this list keep that price as low as possible. Decorating Services – Decorating services include the use of certain types of furniture, the style of the furniture, and the ability of the realtor to make choices about what looks best in the room. Customer Service and Processing – If it takes days to weeks to get your virtual staging pictures back or revisions to an image, then the turnaround time might hold up your listing. Customer service is key, too; from a free consultation to a money back guarantee, these are the details that help realtors know what to expect when using a virtual service. Speciality Services – With features being very similar across services, it might be difficult to know which one is the best. Unique offerings help determine which service is right for you. Highlighting a unique service of a virtual company should help identify the perfect fit for your real estate needs. VRX Staging is the best overall virtual staging company because they offer a comprehensive suite of services including furniture replacement, decorating, and environmental outside enhancements with a 24-hour turnaround at a reasonable price. VRX Staging ticks all of the boxes for the criteria of the best virtual service for 2018. VRX Staging is the best overall virtual staging service because it offers a comprehensive suite of services at an affordable price. Staging highlights include virtual twilight, Blue Sky Green Grass, and furniture removal. VRX Staging is a shop for realtors and brokers who need virtual staging for a flat fee of $35 per image. Virtual Staging Lab offers a free consultation ahead of the staging to make sure that your design preferences are noted before the changes takes place. VRX Staging charges $35 per image for virtual services. Blue Sky Green Grass and paint color are additional options for $15 each per image with next-day delivery. Furniture removal and virtual staging together are $55 per image. Specialty services, such as redecoration or outside building resurfacing, are available by quote. VRX Staging is at the top of this list due to the breath of virtual staging options offered to realtors at an affordable price. Whether an agent needs indoor or outdoor virtual services, VRX Staging provides the most encompassing solutions at the lowest price point to fit most real estate needs all in one place. VRX Staging offers virtual staging for outdoor spaces as well as indoor areas. This is important for realtors who have attractive patios or pool areas that are a major selling point for the property. Virtual staging of an outdoor area takes extra effort and attention because shadows and light play a larger role. VRX Staging offers the choice of furniture, rugs, and pictures to virtually stage the room. While a realtor can make notes about the types and styles of decoration, these are added as side notes in a comment field when the images are uploaded during the editing process. There is one revision to change anything you do not like about the virtual staging. VRX Staging has a furniture replacement and virtual staging package for $55 per image with a three-day turnaround. Images with too much clutter are not candidates for removal for VRX Staging furniture replacement services. VRX Staging offers a next-day turnaround during the week for virtual services. There is only one free revision allowed per image. For realtors who are comfortable with more control over the finished product to reduce revisions, Virtual Staging Solutions provides a money back guarantee and an online system to pick your furnishings. Other options include the free trial with BoxBrownie that allows three free enhancements when signing up and unlimited free revisions. PadStyler offers a 100 percent money back guarantee with free revisions. VisualStager gives you complete control over the outcome and you do not pay for the image until it is downloaded. VRX Staging is missing a package deal or discount for a certain number of photos. As most properties have several rooms that need staging, a package deal per property might make sense. The price is already extremely competitive, so this might not even be a consideration for a realtor. The reviews were overwhelmingly positive on their Facebook page. Realtors say the virtual staging images were high quality for an affordable price. Some other reviewers noted that the customer service and quick turnaround were superior. VRX Staging offers a suite of indoor and outdoor virtual solutions to help real estate agents increase appeal from the curb to the kitchen. Learn more about VRX Staging and their next-day delivery virtual staging service on their website. 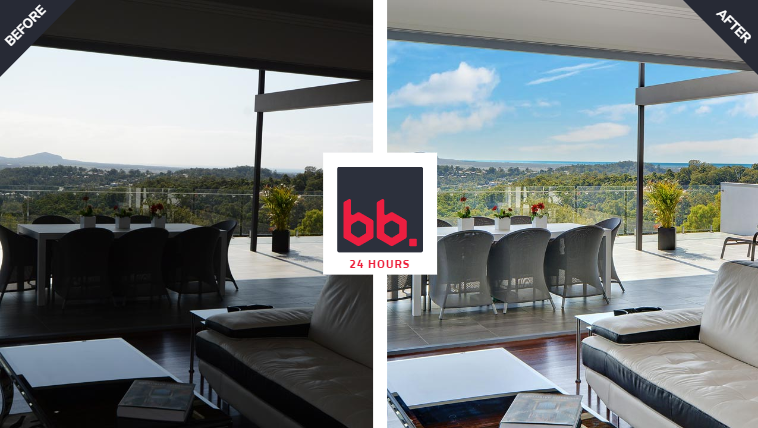 BoxBrownie is the virtual staging service with solutions that range from the basic editing of your agent headshot to the highly complex furniture staging of 360° images. Offering a service for high-end editing and virtual staging of 360° images makes BoxBrownie unique in the field. 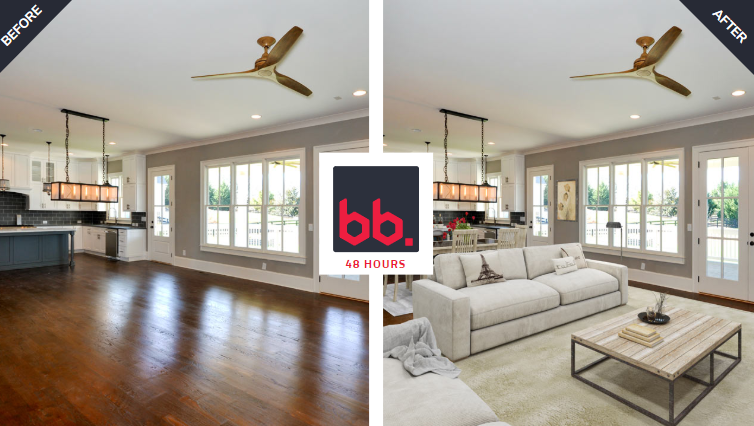 BoxBrownie is competitive at $32 for staging a regular image, but a perfect fit for realtors who need virtual staging of 360° images at $64. BoxBrownie offers a suite of virtual staging solutions starting at $32 per image for furniture addition. Virtual renovations are $24 per image and 360° image virtual staging is $64. BoxBrownie beats out the competition with smaller per-cost edits like head shot retouching, day to dusk, image enhancements, and item removal costing about $4 each. BoxBrownie is competitive in pricing and features with VRX Staging with some additional high-level virtual services for 360° images. Virtual staging and enhancement for 360° images allow people to look around the whole room and see a furnished space for only $64 per image. BoxBrownie offers a suite of extra services for about $1.60 per edit to help realtors with their efforts to sell a property. With image enhancements that include minor tweaks like tone adjustment, brightness and contrast fixes, and shadow removal, BoxBrownie is aimed at helping agents maximize their sales efforts. 360° image virtual staging requires extra skills and virtual staging software. BoxBrownie limits the styles and décor of the furniture to one style. While they do include realtor-submitted input, 360° images are literally pictures stitched together to create a surrounding effect for the buyer, so BoxBrownie makes most of the design choices. Virtual staging includes furniture replacement and removal at a moderate price of $4 per edit. As the lowest price on the list for regular image enhancement, BoxBrownie includes a list of 16 types of edits for images, including sky replacement, flash removal, tripod removal, and TV screen replacement, to name a few options. BoxBrownie is a low-cost alternative for a few quick fixes or enhancements to make a photo perfect. For larger scale replacement and removal services, PadStyler offers complete photo edits for $79 and Virtual Staging Lab provides furniture removal for $60 per image. VRX Staging offers a virtual staging and removal package for $55 per image, so it depends on your goals for furniture removal or replacement. BoxBrownie is the only virtual solution to offer a free trial except for VisualStager. BoxBrownie gives realtors a free “dawn to dusk” service and three free enhancements. Every order receives unlimited revisions, one- to two-day turnaround, and 24/7 customer support through email, phone, and chat. PadStyler also offers unlimited revisions and a 100 percent satisfaction guarantee. Virtual Staging Solutions offers customer service through chat and a happiness guarantee that stipulates if you don’t love your image, you’ll get a refund. If customer service, revisions, and a money back guarantee will make you feel more comfortable with your virtual staging, then these are all good choices. BoxBrownie is missing a volume discount or package, but this is not a standard feature in the industry. BoxBrownie does offer a trial that includes three image enhancements and a day-to-dusk service completely free for signing up for an account (no credit card required). Over 150 reviewers in the realty industry on Google rave about the superior quality of the virtual staging images and delivery time of BoxBrownie. From light touchups to complete virtual services, BoxBrownie is loved by realtors. BoxBrownie offers a selection of virtual staging solutions, including 360° image editing, to create the best impression. Find out more about BoxBrownie virtual services on their website and get three image enhancements with one “day-to-dusk” free for signing up. While most virtual staging companies add or remove furniture to a room, Virtual Staging Solutions goes one step further with Envision to create a virtual room, a property, or setting from a floor plan. Virtual staging starts at $75 per photo, but there is a volume discount. Virtual Staging Solutions is ideal for real estate agents who handle new construction, build-outs, or renovations. Virtual Staging Solutions adds furniture to all rooms shown in your image for $75 per picture. Removing furniture and staging a room with new furniture or completely remodeling a room is $159 per image. There is a volume discount for all indoor and outdoor virtual staging, remodeling, and Envision services. Virtual Staging Solutions provides an extra step in helping the buyer realize and visualize the potential of a property. In addition to their virtual services, Virtual Staging Solutions offers the benefit of creating a visual model of what a property “might” look like in a certain space using renderings or floor plans. Envision, the virtual staging and rendering service from Virtual Staging Solutions priced at $299, takes a floor plan and turns it into a property with furniture. The turnaround time is up to 14 days, with some restrictions on revisions. Virtual Staging Solutions provides an online furniture interface to allow real estate agents to mix and match pieces for a room. With the ability to change colors and add pieces, the room is a collaboration between professional agents and virtual stagers. Virtual Staging Solutions offers virtual staging for all rooms in the image. Virtual Staging Solutions provides an online furniture option that allows you to decide what style, type, and color of furniture and décor you want for a certain space, which is important if you want control over the outcome. 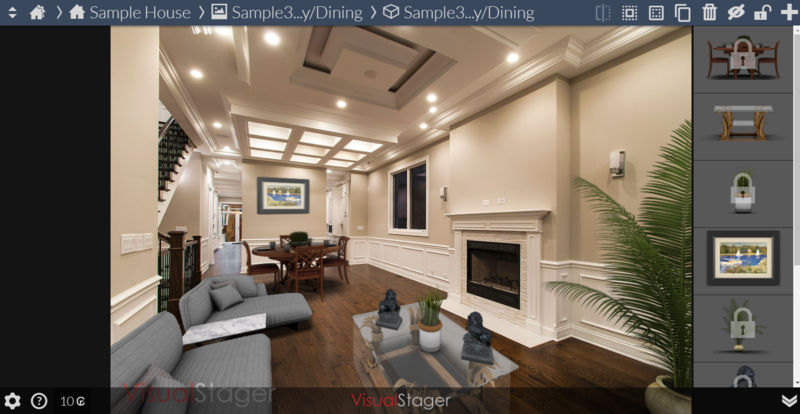 The next best choice allowing realtors to decide virtual staging furniture and styles is VisualStyler. If DIY virtual styling does not fit into your busy schedule, then Virtual Staging Solutions is a good compromise between control and doing it yourself. Virtual Staging Solutions offers a restyle service for $159 per image. Restyling does include both furniture removal and replacement with new furniture. You can use the online furniture picker to find the right style for your property. This option from Virtual Staging Solutions is higher in price than VRX Staging, BoxBrownie, and PadStyler. Virtual Staging Solutions has a one to two business day turnaround on images, with a fee for rushed services. With two free revisions, the 100 percent Happiness Guarantee provides extra comfort. 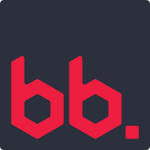 BoxBrownie, however, offers unlimited revisions and PadStyler includes a money back guarantee. Virtual Staging Solutions is missing a lower-priced package and next-day delivery to stay competitive in the market. There are bonuses to Virtual Staging Solutions, like an online furniture browser that allows realtors to pick the décor of the room. There are limited reviews for Virtual Staging Solutions. One good review and one bad review indicate that there is not enough feedback to discuss what users think. Virtual Staging Solutions offers high-end virtual staging from floor plans and renderings. Find out more about their virtual services on their website and check out their volume discounts. PadStyler is the virtual staging software service that increases the appeal for agents who need detail staging covering things like cabinets, tile, and décor. More than just virtual staging starting at $79 per image, PadStyler offers virtual landscaping, complete renovation, and 3D floor plans/renderings perfect for realtors representing properties needing to be fixed up. PadStyler is slightly pricier in the virtual staging software industry at $79 per photo for staging and landscaping services. There is a bulk discount after eight photos that drops the price to $59 per piece. The pricing for other services, such as virtual renovation, depends on the project and requires a quote for cost. PadStyler offers competitive features for virtual staging, but the biggest highlight for their services is renovations from floor plans. Like Virtual Staging Solutions, the PadStyler renovation option is about presenting a visualization of what “could be” for the buyer. From outdoor pools to construction build-outs to bathroom renovations, it will be easy to show the buyer the possibilities. 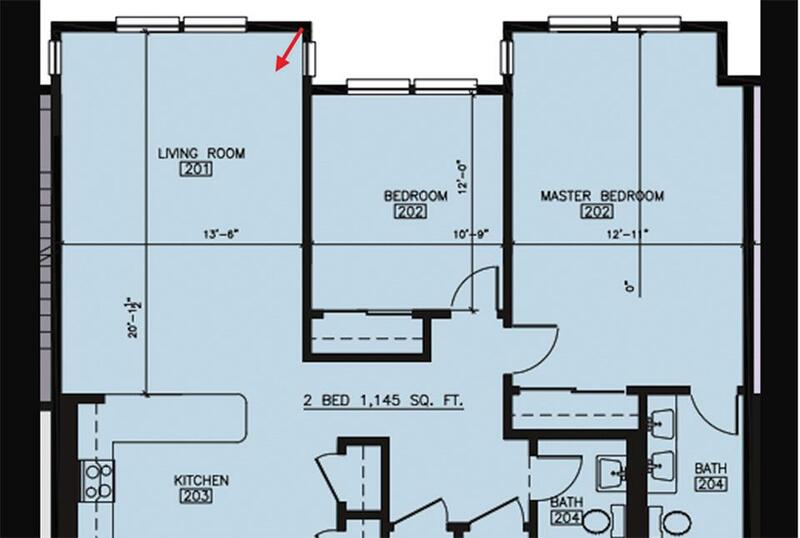 Instead of images, floor plans are often used in apartment or condos to represent the layout of the whole unit. PadStyler allows for the addition of furniture, pictures, rugs, and plants that give the buyer the ability to visualize the property. PadStyler does not ask for input before virtually staging the property. Stating that their work is based on best interior design practices, PadStyler creates the style and allows the realtor to edit it until happy. If you want more control over the style of your property, Virtual Staging Solutions, VisualStager, and Virtual Staging Lab are probably better choices at a slightly higher price. PadStyler does offer furniture replacement and removal as part of their virtual service. While the $79 per photo price is slightly higher than other services like BoxBrownie or VRX Staging, the unlimited revisions and money back guarantee can make it worth the investment. It is hard to go wrong with a 100 percent money back guarantee and unlimited revisions. The two-day turnaround for virtual staging images matches the industry standards of BoxBrownie and Virtual Staging Solutions. PadStyler is missing a lower cost option to keep them competitive in the industry. The bulk discount does decrease the price to $59 for more than eight photos, however. That said, BoxBrownie and VRX Staging are more cost-effective choices overall. Reviews on the PadStyler website show that realtors clearly feel positive about the value of their virtual staging services. Most note quick turnaround times and the addition of more viewers to their listings using PadStyler virtual staging. Realtors from all over the world only had glowing reviews. PadStyler is an indoor and outdoor virtual company with renovation services at the higher end of the price spectrum without the bulk discount. Learn more about PadStyler, their two-day turnaround, 100 percent money back guarantee, and free design revisions on their website. Virtual Staging Lab is uniquely centered on virtual services for large spaces with the help of an interior designer. The interior design expertise shines through with unified design schemes that match and create continuity the space. Virtual Staging Lab is ideal for realtors who want the feel of professional design in a large space at a reasonable price. Virtual Staging Lab is very reasonable for a professionally-designed virtual staging solution at $40 per image. For furniture replacement and virtual staging, Virtual Staging Lab charges $60 per image with a free consultation. A visit to their “special offers” link on their website can save realtors 20 percent on their first image. Virtual Staging Lab combines an affordable price point with quality virtual services. Whereas VRX Staging, PadStyler, and BoxBrownie offer compatible services like renovations and landscaping, Virtual Staging Lab is focused on interior design-inspired virtual staging and customer contact as their primary service. Virtual Staging Lab is the only virtual service with a free consultation with interior design experts to make sure realtors get the right results. Staging large spaces means overflow from one room into another, so the features used in each image must correspond and match with other rooms. 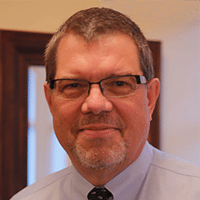 The free consultation makes sure that realtor goals and visions are achieved across an entire property. In a free consultation, realtors get the opportunity to interact with interior designers to talk about their images and how to virtually stage the space. After the consultation, designers with interior decorating experience virtually stage your property. For realtors who like more control over the outcome, Virtual Staging Solutions offers an online furniture picker to give you some degree of input into your project. Similarly, VisualStager lets you design the room yourself with their click-and-drag platform. Furniture replacement and removal is a part of a virtual staging package for Virtual Staging Lab. This is not offered as a focal point of the service, however, and VRX Staging, BoxBrownie, and PadStyler are better choices for decluttering a room or removing furniture. With guaranteed results and 24/7 customer support, Virtual Staging Lab is focused on providing quality service. If robust guarantees, such as unlimited revisions and a money back promise if you are not happy with your service, are critical to your comfort level, then you might want to consider PadStyler, BoxBrownie, or Virtual Staging Solutions. Although it’s common in the virtual staging industry to have additional services like virtual renovation or landscaping, Virtual Staging Lab just focuses on doing one thing really well. Virtual Staging Lab adds and subtracts furniture, plants, rugs, pictures, and other decorative items that coordinate through large spaces. The reviews on the Virtual Staging Lab website show homeowners, realtors, property agents, and house-flippers successfully use their virtual staging services. Praising Virtual Staging Lab for the quality of their photos, prices, and customer service, all reviewers seem to be very happy with the results. Virtual Staging Lab lends interior design expertise to your large virtual staging project. Learn more about the free consultation with Virtual Staging Lab to see if their services are the right fit for your needs, and check out the demo on their website. VisualStager is do-it-yourself virtual staging software created to give realtors the power to quickly add furnishings to a property. Starting at $15 per image with a bulk discount available, VisualStager allows agents to drag-and-drop furniture, rugs, and pictures into place to self-stage a room. VisualStager is perfect for realtors who want quick staging for a property and do not need superior realism for their sales efforts. VisualStager bases pricing on the number of credits bought at a time. The average virtual staging costs 10 credits or $15. Buying credits in bulk decrease the price of each credit, so it is $59 for 50 credits that yield five photos at $11.80 per photo. Credits can be used for furniture replacement. VisualStager uses a new way to virtually stage a property. Some agents like to control the type of décor and furnishing. Other agents need a more budget-friendly way to stage a home. VisualStager offers the best of both worlds in their DIY virtual staging software. 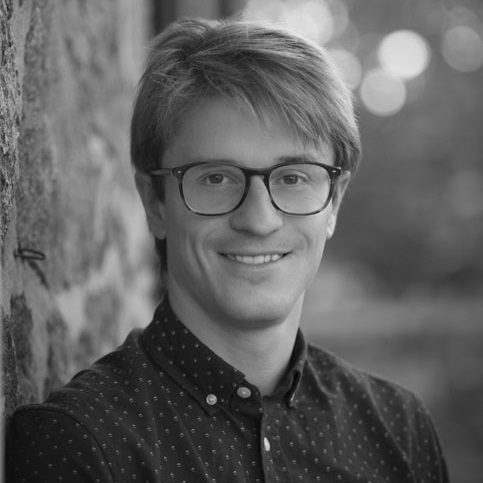 For VisualStager, the unique service is the easy-to-use platform. Clicking on pictures, furniture, plants, and rugs gives realtors the ability to quickly virtually stage a property. This service makes VisualStager into a money-saving virtual staging software accessible from any computer. VisualStager contains a large library of rugs, furniture, and pictures to help the realtor set the stage for the buyer in each property. From pianos to plants, VisualStager virtual staging software is as easy as click-and-drag to place an object, increase/decrease the size, or edit the position in the room. Because Visual Staging Solutions gives you access to their online decorating furnishings, it would be hard to beat the price of $15 per image if you have the time and inclination to virtually stage your properties. VisualStager does offer furniture replacements and removal services starting at eight credits, or about $12 for light projects. For decluttering and furniture removal, BoxBrownie offers a high-quality solution at a lower price. PadStyler, VRX Staging, and Virtual Staging Solutions have decluttering, furniture removal, and virtual staging services in all-inclusive packages for real estate agents who find DIY too time-consuming. VisualStager offers a free trial and a no-registration live demo to give you the full experience of handling their DIY virtual software before purchase. There are no money back guarantees or free revisions because you do all of the work. While VisualStager is a simple, quick virtual staging software that allows realtors to put furniture, plants, rugs, and pictures in place on the fly, it’s missing some of the natural feels of real furnishings that human editing provides. As an online virtual staging software, VisualStager does not have any reviews, either positive or negative. Submit your own reviews here. VisualStager is an easy-to-use, do-it-yourself visual staging software. 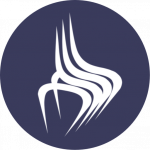 Learn more about VisualStager and sign up for a free trial on their website. An image of a home is a representation of what a buyer can reasonably expect to purchase when scheduling a viewing. Disclosing that the images are a virtual staging representation could help realtors avoid potential legal issues from using a virtual staging software or service. Going overboard with virtual staging, however, could lead to potential buyer issues and ethics problems. It is important to be aware of the National Realtors Association (NAR) code of ethics regarding changing images. Understanding the implications of changing things like cracks in the wall or paint colors might help you steer clear of trouble with the NAR and potential buyers. Virtual staging is a service that removes furniture or adds decoration to the image of a home to make it more appealing to potential buyers. Virtual staging is right for real estate agents who want to increase sales by presenting a more aesthetically-pleasing image of a property. With furniture, pictures, and all the decorations of a home, the buyer can visualize themselves living in the house at a fraction of the cost of traditional home staging. VRX Staging is the best overall on our list of virtual services because it provides a complete solution useful to most real estate agents at an affordable price. With indoor and outdoor virtual staging, VRX Staging offers services for $35 per photo with next-day delivery and one free revision. 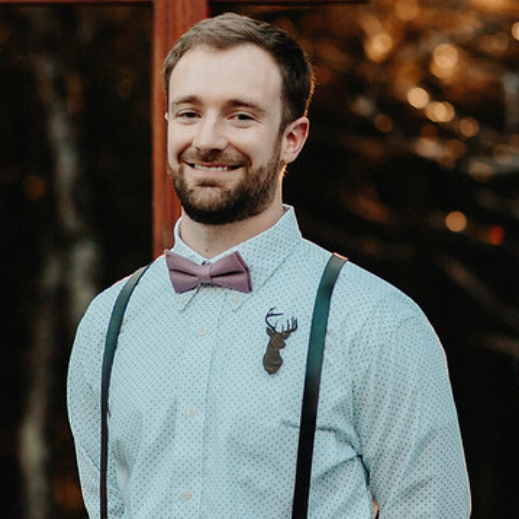 Cody – Thank you for the question. It depends on your needs – not just volume. If you need walls fixed or renovation in your images/video, then PadStyler is probably the best choice. If you want to be able to add staging features yourself, then VirtualStager is a DIY solution. Try to find what properties need most and select virtual staging company around those needs. I have been using Hasten for more that 2 years. The quality of their images is incomparable. They also did a lot of 3D architectural renderings for us, they are awesome! Thanks for the recommendation. Quality looks pretty decent here. You should check out https://virtualstagingrenderinggroup.com/ . They do great work at an amazing price. Cheaper than the sites you mentioned and a lot better quality of furniture. Looks like a pretty good service. Have you used them personally? I’m trying them now. Their examples look good. I tried Padstyler and even after revisions, I couldn’t bear the thought of presenting the photos to my client. They weren’t too happy about giving me my refund either. Try Hasten.me too. I haven’t had a chance to update the article in a while but they do really nice work. Why wouldn’t you put Virtual Staging & Rendering Group as one of the services you mention? I read your article… looked at some of these companies and they seemed not that great for the price… then looked at the comments and looked up what bob recommended. I decided to try them because their quality seemed great for the price. They are by far one of the best companies around.. It’s not close. The least you could do is add them in there.. Also, they are in America which is hard to find. Odd, I couldn’t find a real estate license associated with your name. Where are you licensed? I think there’s one thing that room needs either virtually staged or staged in real life… PLANTS!! What a gorgeous space. Best of luck with the sale.